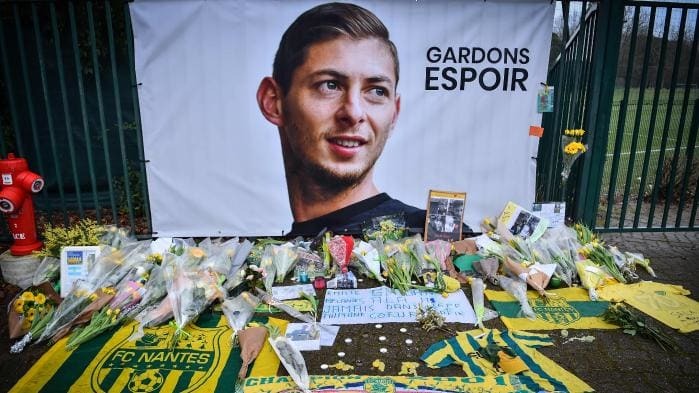 Kylian Mbappe has donated A$47,000 with Premier League stars coughing up nearly $540k to start a private search for Emiliano Sala. The World Cup-winning Paris Saint-Germain striker has joined a host of players in funding a new look for the feared-dead ace. 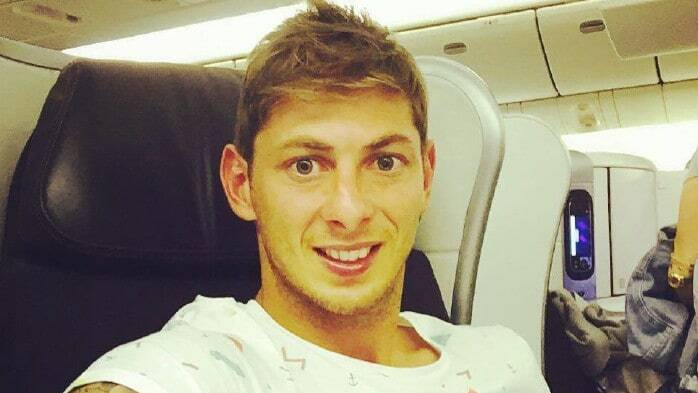 A GoFundMe appeal was set up by Sala’s agents Sport Cover after authorities on Thursday abandoned the hunt for the missing plane that was carrying Cardiff’s record $27million signing. Last night, more than $361,000 had been raised after the target was hiked when it passed $234k. Arsenal’s Laurent Koscielny and Manchester City’s Ilkay Gundogan both donated $3000 to the appeal hashtagged NoDejenDeBuscar — which translates from Spanish as ‘do not stop searching’. Leicester winger Demarai Gray put in more than $720, while Fulham defender Maxime Le Marchand gave around $1800 and former West Ham ace Dimitri Payet $15,500. 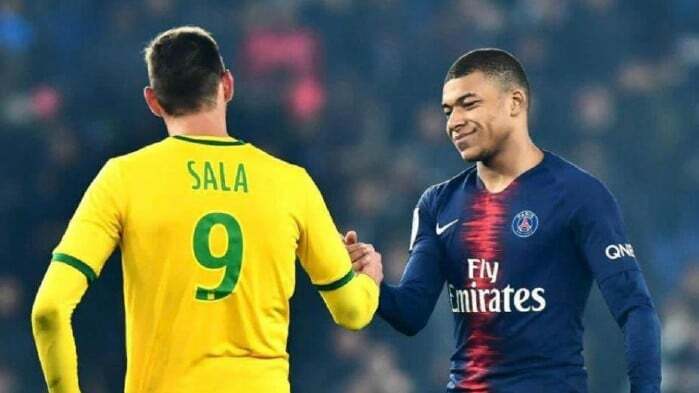 The largest donation was $38,000 from PSG star Adrien Rabiot - before teammate Mbappe’s generous contribution. Nantes boss Vahid Halilhodzic, Bayern Munich midfielder Corentin Tolisso, Napoli defender and Manchester United target Kalidou Koulibaly, plus former Cardiff fullback Fabio Da Silva — who now plays for Nantes — and his twin Rafael have also contributed. Sala’s sister has said she believes her brother is still alive. Bluebirds chairman Ken Choo inviting the family to Tuesday’s game at Arsenal and Saturday’s home match against Bournemouth. Staff and fans wore daffodils at the Emirates to honour the 28-year-old. Choo said: “It is a yellow flower, the flower of Wales and has significance to Nantes. 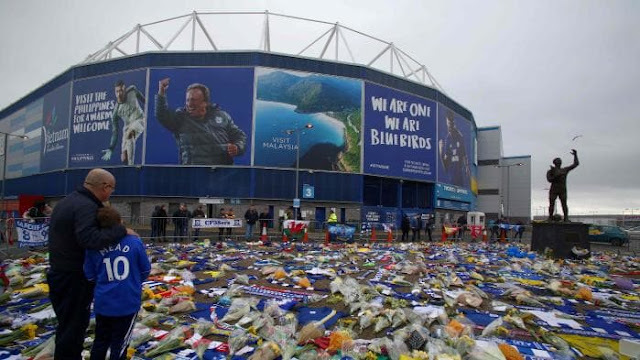 “We feel for Nantes, their fans and players. They definitely know Emiliano better than we do and it is tougher for them. Choo described Neil Warnock as “quite distressed” and the Bluebirds boss took time off last week to spend it with his family.